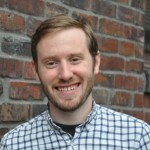 My name is Owen Pickford and I’m the founder of Housing for Seattle. I’m here because I’m concerned about the cost of housing in Seattle. Put simply, there is insufficient focus on how Seattle’s zoning policies affect housing costs. As an example, the description of this meeting’s purpose is to consider “code changes to help ensure the new buildings fit into the neighborhoods.” To my knowledge there is no meeting planned to consider how code changes would affect the cost of housing. While it should be obvious, it seems necessary to explicitly say housing costs are more important than whether or not buildings fit the particular aesthetic or character of a neighborhood. High housing costs are one of the most serious problems in our city. They cause a myriad of problems from increasing financial insecurity to hurting local economies. Of all consumer spending, housing costs may have the greatest impact on quality of life. Aesthetics and neighborhood character are important but not as important as the cost of housing. Yet the city consistently holds meetings like this one to consider aesthetics and neighborhood character without at least equally considering impacts on housing costs. For that reason, I have three questions. One, do the councilmembers truly think aesthetics and neighborhood character are more important than housing costs? Two, will the city hold a separate hearing on how proposed changes would decrease, increase or maintain housing costs? Three, will there be any independent research or investigation into how a zoning change will affect housing costs? To be clear, I’m not encouraging us to ignore neighborhood aesthetics and character. Instead, I am arguing that changes to building aesthetics will affect housing costs and that must be considered. It would be a mistake to change zoning for aesthetic reasons if it results in higher living costs for residents. It would be a bigger mistake to make changes without even considering the impact on housing costs. Next articleHow much should a 2 bedroom apartment cost? It should definitely be less than this.